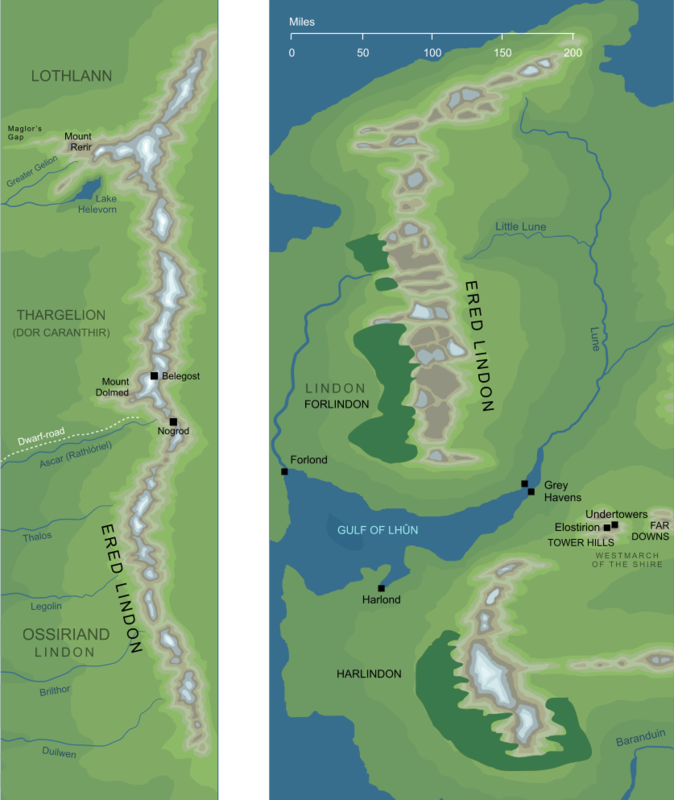 The map on the left shows Ered Lindon during the First Age, before the cataclysm that brought that Age to its end. The map on the right shows the later geography of the mountains, specifically in the early years of the Fourth Age. The mountain range that separated the Elven land of Lindon from Eriador, more commonly called the Ered Luin or the Blue Mountains. Original content © copyright Mark Fisher 1998, 2000, 2018-2019. All rights reserved. For conditions of reuse, see the Site FAQ.